I forgot to post picture first time. 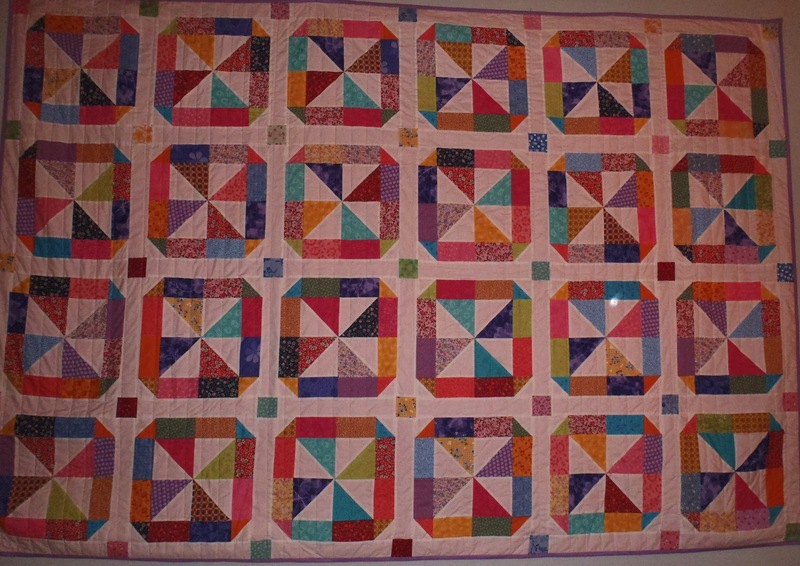 Since this is so busy, would you advise to use fairly plain quilting pattern? I took a class from Augusta Cole last month at our Guild. This is the result. Help Please! 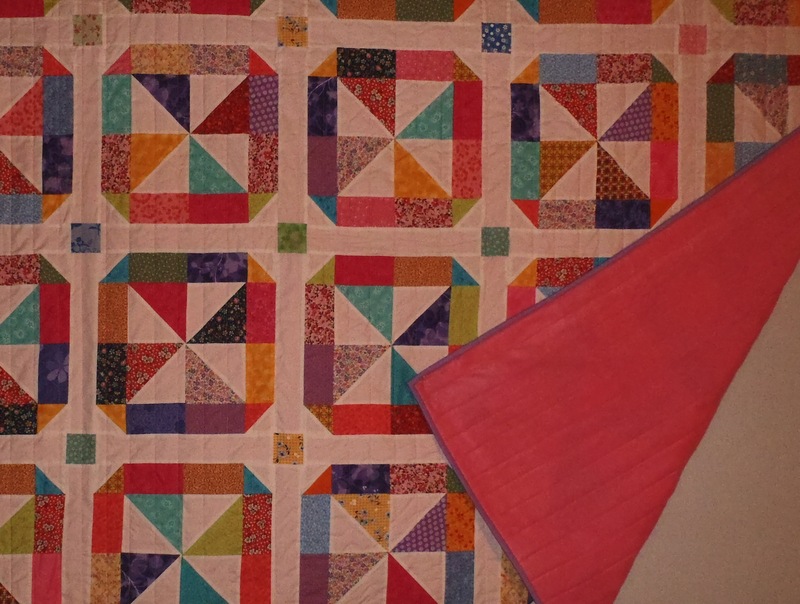 I would appreciate any tips and advice on using invisible thread to free motion fused applique leaf shapes to quilt border. Do it put the invisible thread into the bobbin also? Any advice on setting tension would be helpful too. Thanks in advance! Has anyone quilted a piece using men's silk ties? I would like to 3 small wall hangings using my husband's ties. 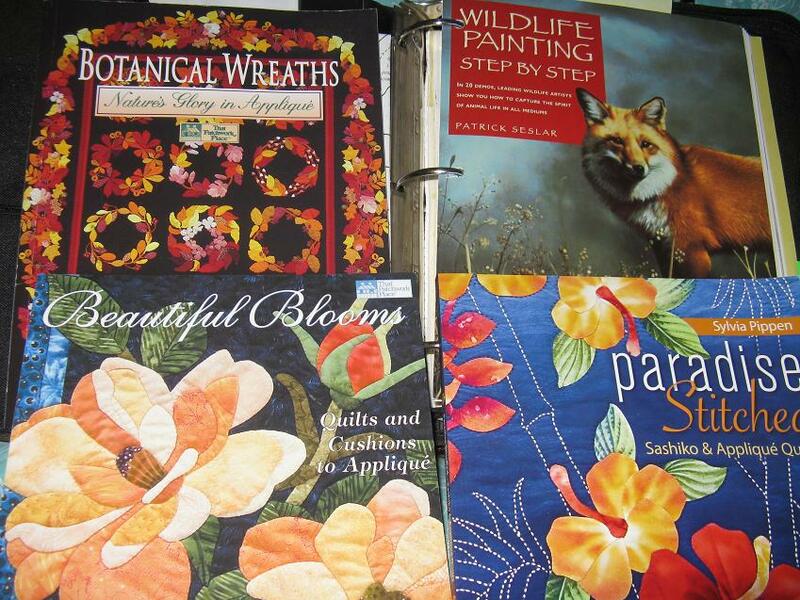 I'm thinking about paper piecing. Any suggestions for working with silk and pattern suggestions? I may Try This Blog Thing. 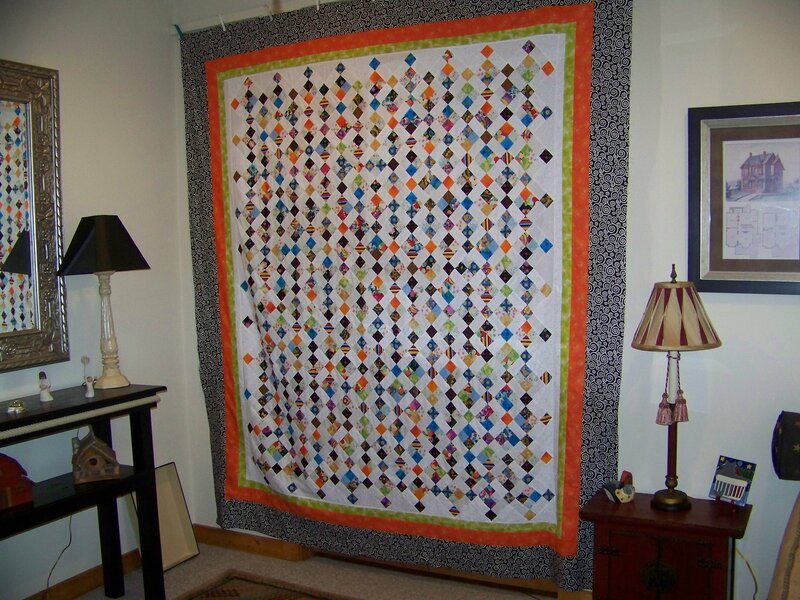 I'm toying with my Hexie quilt ideas while sewing them together. I'm thinking of enlarging the hexagons from 2.2 inches to 5 inches then cutting them in half so there will be a seam down the center of them. Maybe a 6 inches or larger - would look better? I may have to toy with the size. My idea is to give them a real hand worked look. I love making hexies there is something zen about hand sewing them. 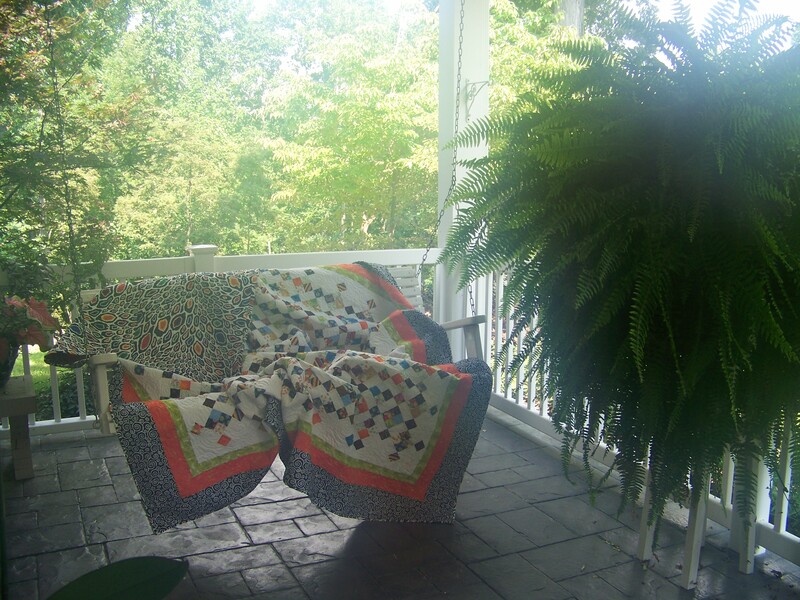 @ post# 211, applique: Do we get to see a picture of this quilt? I'd love to see it. Or give us the name of the book, if you know, so we can look it up. Very curious here. 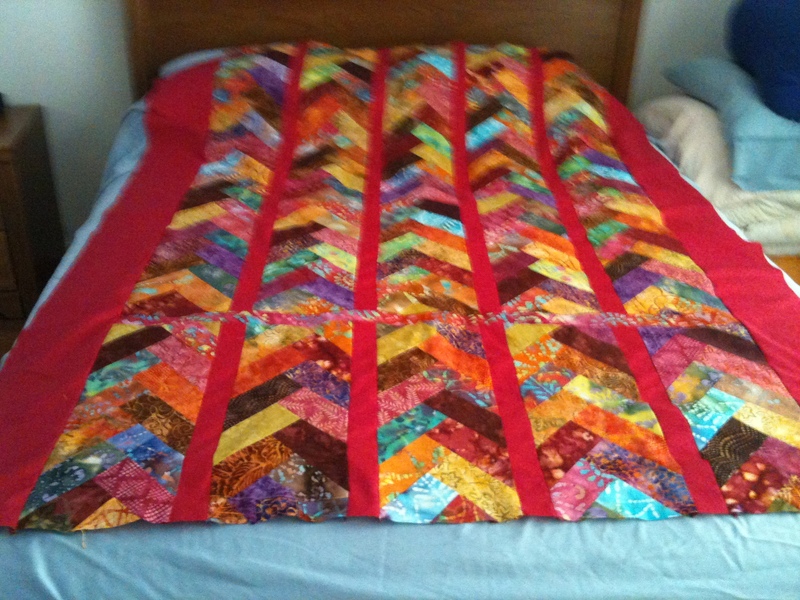 My latest scrappy, finished the binding today. It is made with 2 1/2 in strips. 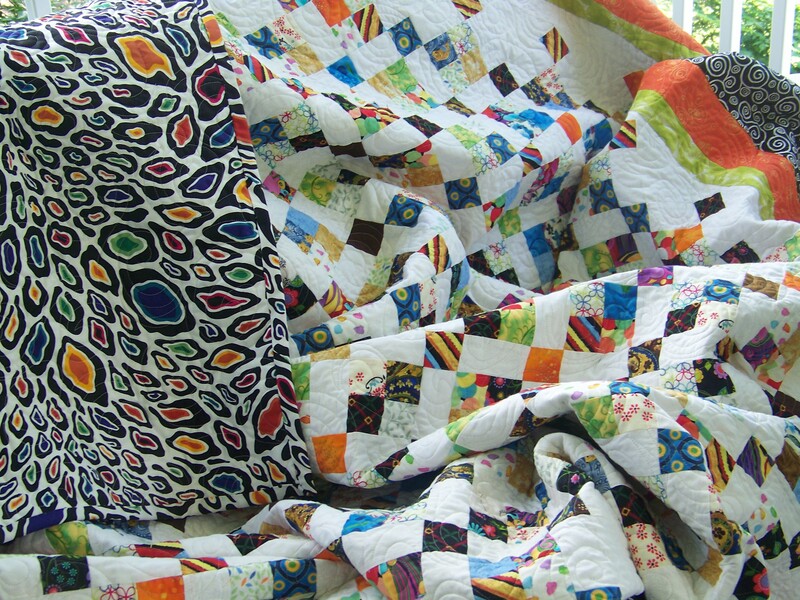 Called Merry Go Round from American Patchwork and quilting Feb. 2012. 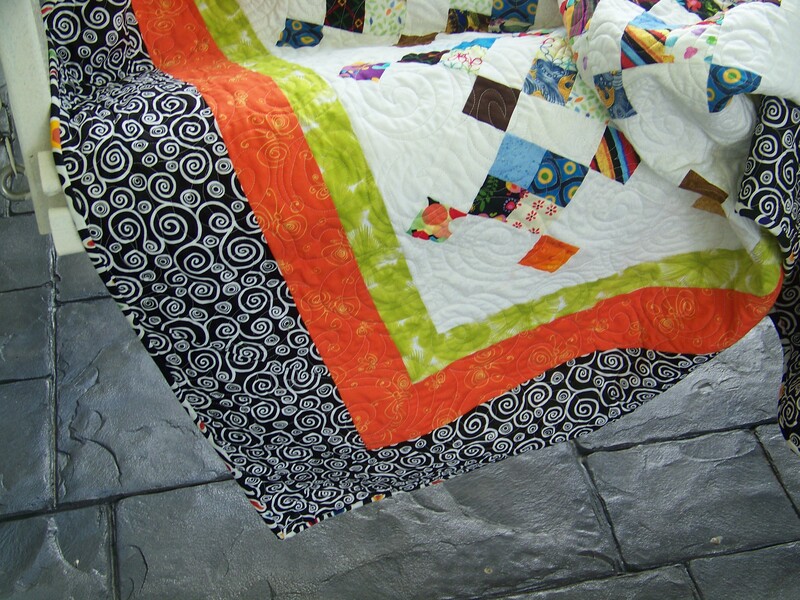 I just quilted with simple straight lines and used fleece for the backing and no batting. It is soft and cozy. 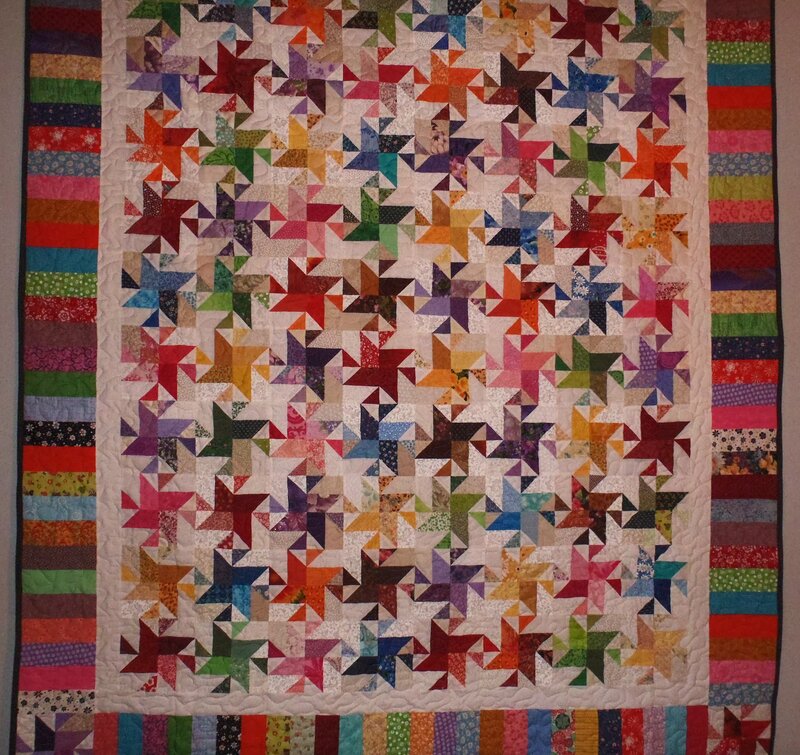 The second one is from a previous post, paper pieced friendship stars, finally quilted and bound. I am looking for a pattern for a 12 wedge tree skirt for my 12 sock monkey embroidery designs. Does anyone have a pdf of this that I can copy?